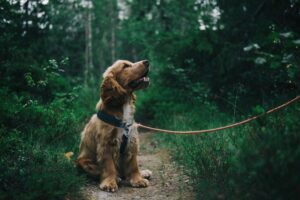 If you’ve been searching for an effective, reward-based dog trainer in Westchester, New York, look no further than Camelot Dog Training West. Our private and unique in-home programs can’t be beat. We put our years of experience and extensive knowledge of canine behavior to work for you by creating a customized training regimen based on your dog’s individual needs. If you’ve found our page, chances are you’re frustrated to say the least. You’re at the end of your rope. Maybe you’ve even considered rehoming your pet, but you don’t have to! We’ve seen aggressive, anxious, and destructive behavior from all types of dogs, and just as we’ve helped others before, we can help you bridge the communication gap between you and your pet. At Camelot Dog Training West, we focus on you and your dog as a team. We don’t presume to come into your home, wave a magic wand, and give you the pet you’ve always desired. We rely on you, your dog’s best advocate, to learn tools and skills that will change your dog’s behavior for the better, permanently. The best part is that we pride ourselves on being commitment-based. We stick with you and your pet from beginning to end, until you are completely satisfied with the changes you’ve seen. Do you think we talk a big game? We do, and we can deliver! Because Camelot Dog Training West is a proud member of the Canine Trade Group network, you are guaranteed to work with a trainer that has completed hundreds of hours of experience in the field, as well as completed courses in canine history, psychology, and behavioral science. Dogs are our passion, and we eagerly continue our education in the world of canine behavior by keeping abreast of new training methods, studying case files, and attending conferences. Nothing beats a training program that takes into account your dog’s individual needs, environment, and lifestyle. To learn how Camelot Dog Training West can help your pet, give us a call today at 914.296.4100 or fill out our contact form. We can discuss your individual needs and help you set up an in-home consultation. The dog of your dreams is within reach!